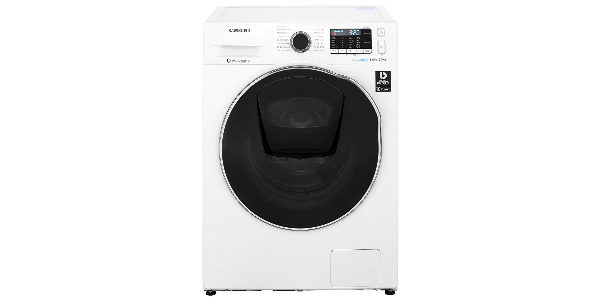 The Zanussi ZDC37202W freestanding condenser tumble dryer features reverse action tumble which untangles clothes and leaves less creasing for ease of ironing. It also features a Refresh cycle which you can either use to cut down on ironing by taking the creasing out of clothes or to remove lingering odours such as tobacco or food cooking smells from fabrics. The Refresh cycle will air your clothes without you needing to wash them. This tumble dryer also has a cool down tumble period at the end of every programme, again this cuts down on creasing and loosens the clothes so they don’t come out of the machine in a lump. It has a large 7kg capacity drum suitable for a medium sized family of 4. The dimensions of the unit are (H)85.0 x (W)60.0 x (D)60.0 cm. The appliance uses 298.7 kWh of energy a year and costs £44.81 a year to run based on 15p a unit which is very reasonable for a dryer as these are energy-intensive by nature. It is rated C for energy efficiency class and it runs at noise level 64 dB which is about average for this type of unit. 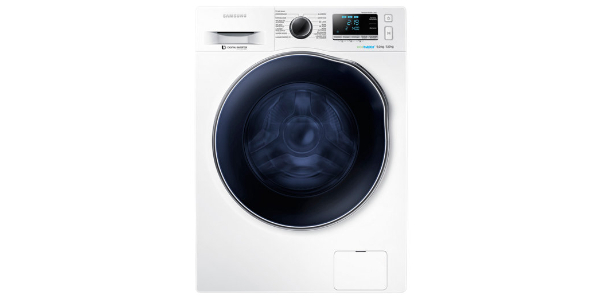 The control dial has settings from 30 minutes to 150 minutes and you may have to consult the manual to learn which types of clothing need which drying times. The machine features a water container full indicator light and a filter full indicator light which are both useful. A condenser dryer will fit about anywhere you want it to as it is not limited by the vent hose which has to be fitted to an exterior wall. The unit does give out some heat but don’t worry, the kitchen won’t fill with steam. Please note, you’ll need to make sure you empty the waste water and fluff when prompted or the machine will cease to function correctly. Click here to see what over 250 buyers had to say about this tumble dryer – 94% said they would recommend it to a friend!! Customers reported that this Zanussi tumble dryer is made from quality materials, is very easy to use and is efficient at drying clothes (which is obviously pretty important). On the whole customers were very satisfied saying it represented great value for money. The only real compliant was that the timer has no countdown display meaning it’s guesswork as to how long is left on the cycle unless you calculate it yourself. Although this could be slightly annoying it’s a relatively minor flaw in an otherwise excellent machine. Check out the video below for a ‘hands on’ demo of the machine by ao.com. If you think this might be perfect for your household please click the green banner under the video to read more reviews and check the very latest price. Buyers are very happy with this energy efficient and good value machine from Zanussi. It's simple to use and has all the features you'll need for a very reasonable £199. And it's cheap to run too!